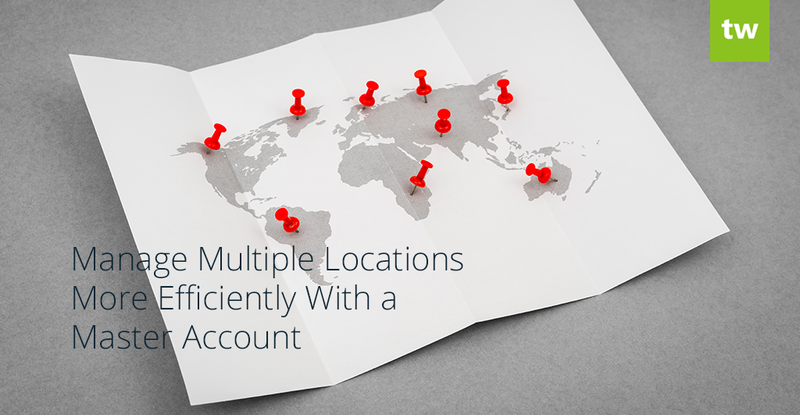 Whether you operate multiple branches, a franchise system, or have plans to expand your education business in future, we make it really easy to manage multiple locations from a single Teachworks account. If your education business has multiple locations that operate separately with separate managers, teachers, students and invoicing, we recommend creating a master account. This article will look at master accounts in some more detail. Login to your existing admin account and go to the Account Settings page. Once you’ve submitted the form, a confirmation email will be sent to the email address entered for the master account. Follow the prompts in the email to confirm the account. Once your master account has been confirmed, you’ll be able to login and view a list of the associated branch accounts. To add a new account, click the “Add Branch” link at the top of the page and complete the form. The newly added branch will be visible in your Branch Accounts list. A confirmation email will be sent to the company email address specified for the branch and once confirmed, you will be able to switch to the account from your master account with full admin rights. 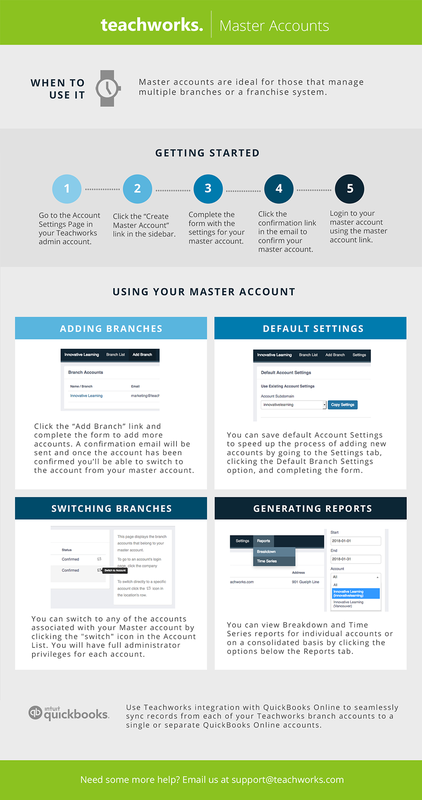 To speed up the process of adding more branches, you can save default Account Settings. To do this, go to the Settings tab, click the “Default Branch Settings” option and complete the form. When you add a new branch in future, account settings will be pre-filled. You can switch to any of the accounts associated with your master account by clicking the “switch” icon in the Branch Accounts list. A bar will appear below the navigation menu when you are viewing an account as the master administrator and it includes a button to switch back to the master account. You can easily view Breakdown and Time Series reports for individual accounts or on a consolidated basis from your master account. To do this, click on the “Reports” tab and select the relevant report. On each report, you’ll see an “Account” filter. « API Progress and Other New Updates!